There is nothing more exciting in an author’s humble life than when a new book releases. Day after day, writers sit cloistered in our offices pounding away at keyboards. Lunch in another room of the house becomes the highlight of our days. But today I’m tickled to announce my newest Amish romance is here. A Plain Man is the story of a prodigal son who comes home. Although Caleb Beachy tried the Englisch world for several years, he is a Plain man at heart. When he returns to the Amish lifestyle, he discovers there’s more to embracing his faith and reconnecting with the community than driving a horse and buggy and giving up his Levis. He struggles with his domineering father, the oppressive rules of his district and with the paralyzing guilt from past mistakes. Josie Yoder was just a girl when he left, but she’s all grown up now and still has a soft spot for Caleb. But Caleb carries enough shame and self-loathing to derail even a well-established relationship. Josie might be the love of his life, but will past sins end up destroying their fledgling romance? This entry was posted in Uncategorized and tagged A Plain Man, Amish fiction, Amish new releases, Amish romances, Christian Fiction, Christian romances, Mary Ellis. Bookmark the permalink. I am looking forward to catching up with A PLAIN MAN. 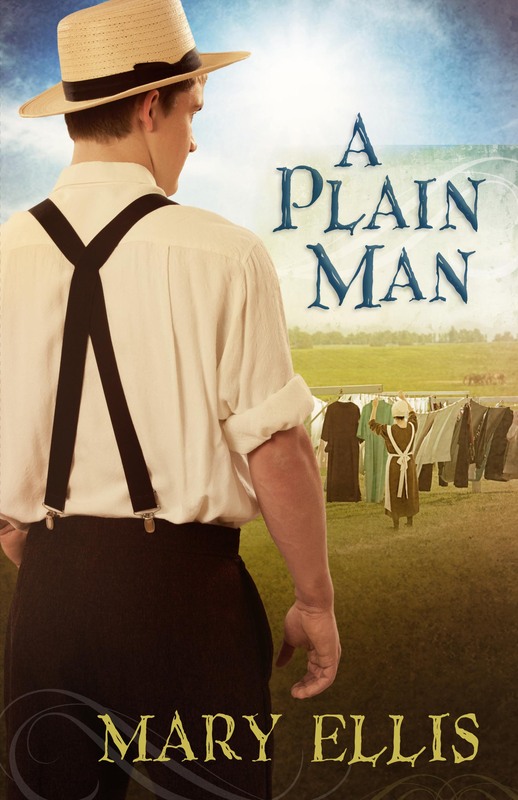 I would love a chance to win “A Plain Man”! Amish fiction is one of my favorite genres, I am also a subscriber to your blog & I love to keep up with you through it. Thanks for an extra chance to own a great book!